Last Saturday, I took apart an old and broken laptop of mine: a Sony Vaio VGN-TZ31XN. That was once a top of the line executive laptop. I bought it in 2009 when the model had just been discontinued and superseded by a new one, so it wasn't too expensive. The laptop had an 11" 1366x768 screen, a 1.2 ghz Core2duo, 2GB of ram and 120 GB hard drive. The reason I paid 1000 Euro for such lowly specs is that it had a weight of 1.25 kg, doing about 6 hours on a battery charge. I've been wanting a new laptop since I started to bump into performance issues during 2011. 2 GB of ram is not sufficient in a time of HTML5 - there are web pages which eat several hundreds mbs of ram. And unfortunately the Linux desktop isn't getting lighter either (it's part of why I decided to help Will and Klaas with Klyde for hackweek). And I've been doing some light video editing lately as well as more image editing. So when the screen of my laptop finally gave beginning of last year, I simply ordered my new Samsung Series 9. That Series 9 was actually more expensive than the Sony (prices have gone down since then). It is a step forward, but it is sad that it took the IT world over 5 years to finally eclipse what Sony did in 2007. And not even on every level - my Sony included a DVD burner, 3-antenna wifi, TWO card readers, mini-PCI-express, 120 GB spinning rust, FULL ethernet and VGA ports, Firewire and a removable battery in barely 100 gram more! When you open up the Sony, it becomes apparent how they managed to cram so much functionality (essentially everything a 'normal' laptop offers) in such a thin enclosure: they must have worked with the assumption of an unlimited budget. Seriously, it is clear why this laptop was over 2K: the target user group seemed to be entirely unwilling to compromise on features. This thing is far more complicated inside than modern ultrabooks. My Samsung S9 is mostly battery inside: it has a single, laptop-wide motherboard with 2 boards (wifi and mSATA) attached to it. 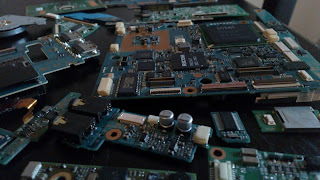 Nothing compared to the Sony: taking it apart reveals a square motherboard, a battery-power related board inside a casing, wifi board (the usual), blue-tooth board (tiny), audio board (2 chips & capacitors, audio in/out, 2 speakers, microphone all attached), 2xUSB+card reader board, touchpad board (the touchpad itself also has logic, of course), quick function keys board, 2 more small board I can't identify. Then the DVD burner has its own internal boards (2) and one on the outside, apparently to interface between the mobo and the dvd burner. Oh, and of course, memory is separate and can be replaced. 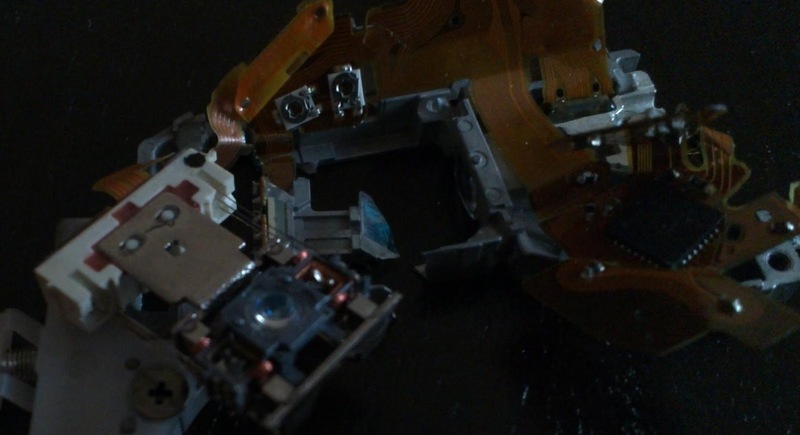 The webcam also has its own 4 cm long/half wide/double sided board. Crazy, huh? All that is connected via a myriad of flat cables, tied with tape and thermal pads everywhere, and of course screwed. 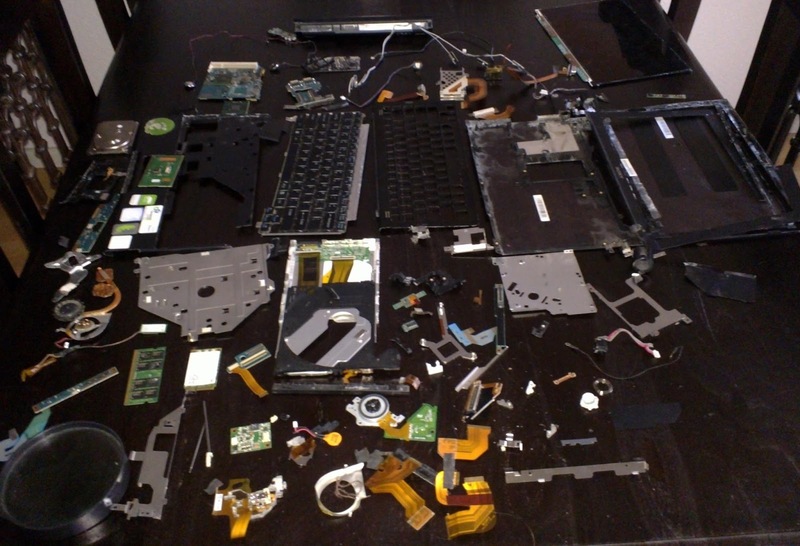 Total nr of screws in this laptop is 81 and I'm sure I missed a few. Here's me betting the Series 9 doesn't even have half of that. Considering the progress of technology, I would say that the Sony Vaio VGN-TZ31XN is far more a marvel of technology then the Series 9. Yes, the Series 9 is awesome: 1.15 kg, thinner, 13.3" screen with a higher resolution, faster CPU etcetera. Much quieter, too. But considering it is about 5 years newer it just makes the work by the Sony engineers around 2007 all the more impressive. And I enjoyed the breaking up of everything. 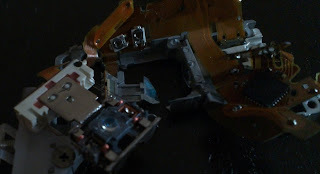 I spend quite some time looking at the more intricate parts - the DVD drive laser mechanism is quite intriguing and trying to figure out what the chips on all the little boards do was also interesting. Of course, almost everything is broken and I wouldn't be able to put this thing back if my life depended on it! I will trow both the screen and the memory away by the beginning of next week so if you can use it, let me know quickly so I can keep it around.